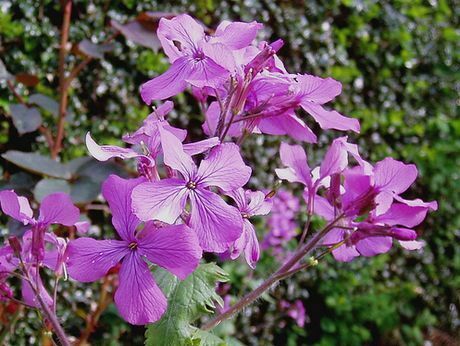 Members of the Lunaria genus are often grown as hardy annuals in the garden, even though they are hardy biennials or perennials. They have a bushy nature and reach from 45 to 90 cm in height. They have purple or white flowers that set attractive silver coloured seed pods that can be used in flower arrangements. Some of the common names for Lunaria include Money plant, Moonwort, Honesty, and Satin pod. Lunaria annua - Annual Honesty by Amandabhslater; creative commons. Lunaria pods by Mangpages; creative commons. Lunaria Rediviva – Perennial Honesty by Alexandre Dulaunoy; creative commons. Common Names: Honesty, Money Plant, Silver Dollars, Bolbonac, Moonwort, Satin flower, Moon plant. Life Cycle: Hardy perennial. Hardy biennial grown as a hardy annual by gardeners. Height: 30 to 40 inches (75 to 100 cm). 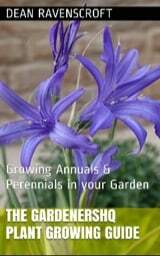 Growing Region: Annuals: zones 3 to 9. Perennials: zones 6 to 9. Foliage: Dark green. Cordate. Serrated. Sow Outside: 1/8 inch (3 mm). Before last frost or in autumn (in warm areas). Spacing 12 to 20 inches (30 to 50 cm). Sow Inside: Germination time: one to two weeks. Temperature 70°F (21°C). Six or seven weeks before expected last frost. Transplant outdoors following the last frost. Requirements: Full sunlight or partially shaded. Good drainage. Can survive in dry soils. Supply mulch in late autumn. Rub seed pods to release seeds. Miscellaneous: Plants have attractive silvery seed pods similar to a flattened pea pod or a silver coin (hence the name money plant). Money Plants and other Lunaria members such as Moonwort can be grown outdoors from seed by sowing at a depth of 3 mm. This can be done either in autumn or just before the last frost of spring. Money plants can be grown in either sunny or partially shaded parts of the garden that has good soil. Lunaria can easily be started indoors. Plan to start the growing process about 7 weeks before you expect the last frost. The seeds should take about two weeks to germinate at 21 degrees centigrade. Once growing transplant the young Money plants at about 30 to 40 cm apart. 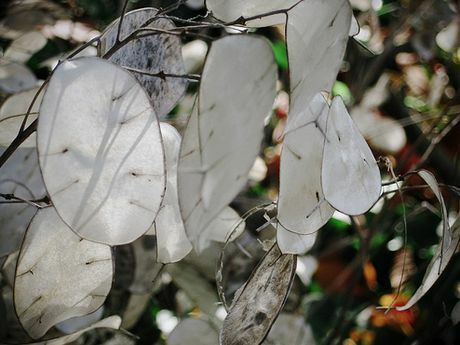 Money plants and Honesty are pretty easy to look after; they will self seed so if you do not require more Lunaria plants in the garden the following year, remove the plants before they shed seed. 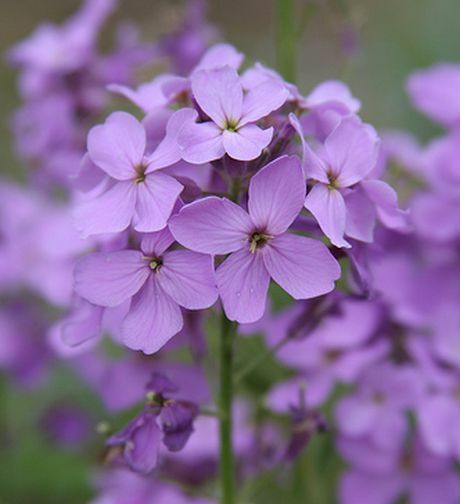 It is necessary to mulch the plants at the beginning of winter if you are planning to grow Lunaria as a biennial.